The Cannon is the brightest, most versatile hide-a-way in the emergency market...and a Feniex best-seller. 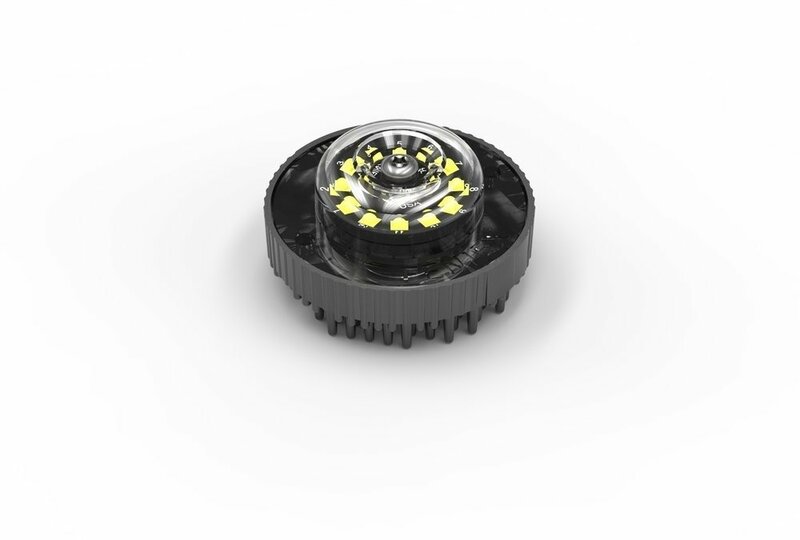 12 individual LEDS are housed within this compact, weatherproof design. The Cannon features 3 modes and is offered in single and dual color options. Syncs with additional Cannons, Fusion 1X & 2X, Fusion Mirror Mount, Fusion Spoiler Mount, Fusion 200, T3 and Wide-Lux.